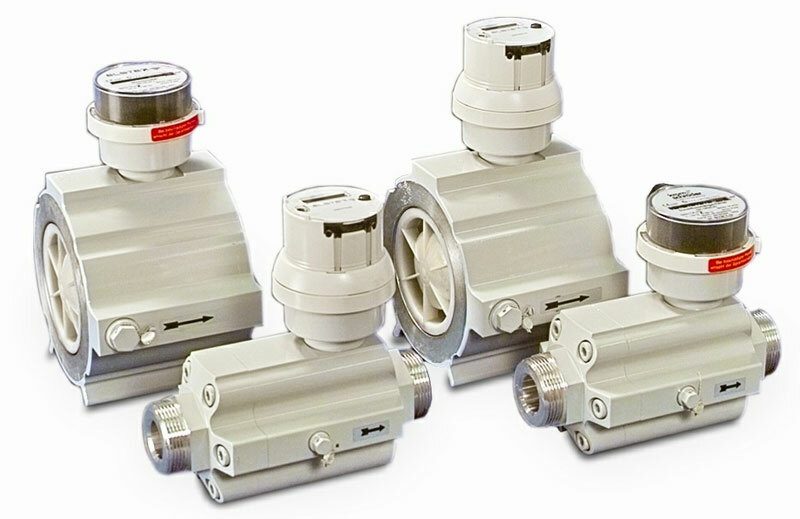 Elster-Instromet quantometers are highly reliable gas meters, which can be used throughout the entire field of flow metering and which fulfil all of the varying requirements of industrial metering. The QA and QAe quantometers work on the principle of the rotating turbine wheel. The rotation of the turbine wheel is proportional to the volume of the flowing gas and this volume (Vb/m3 ) is registered by either a mechanical (QA) or an electronic (QAe) totalizer. Self-lubricating bearings ensure that the quantometers operate completely without any maintenance. On account of the proven metering principle and the quality of the materials in use, the quantometers meet the highest standards. By using the quantometers in production and heating processes, it is possible to control the flow of gas precisely and therefore optimise the use of energy. The QA quantometers are fitted with a 7-digit mechanical totalizer which registers the volume Vb in cubic meters (m3). Installation tips: The Elster-Instromet quantometers can be installed easily in the straight pipeline. The inlet pipe should be 3 x DN, the outlet pipe should be 2 x DN in nominal size of the meter. A filter must be connected in the inlet pipe, provided that the gas fl ow is not free of foreign bodies and dust. The position of the installation can be selected as required.